Adds Storage Space: If your kitchen is lacking in storage space, adding an island gives you the option of additional drawers, pull-out shelves, and cabinets. Perfect for Kids: Whether you need additional counter space for cooking or you want to be able to watch your kids do their homework while you cook, a kitchen island from InsideOut Renovations & Home Repair will fulfill your needs. Extra Seating: Many kitchen islands can be created to act as an informal dining area for kids or as additional seating when you’re entertaining guests. Whether your kitchen island is big enough to seat two or six, it’s a great addition. Holds Additional Amenities: Just because your kitchen is large doesn't mean it won't benefit from having an island. An island in a big kitchen can hold preparation sinks, refrigerator drawers, your stove/grill, and a range hood. You can turn your kitchen island into your main hub of cooking and entertaining. Endless Options: Your kitchen island can be anything you imagine. It can be made with a variety of material options and for multiple utilitarian purposes. All you have to do is sit down with your remodeling contractor at InsideOut Renovations & Home Repair, and they'll work with you to create the kitchen island of your dreams. If you want to upgrade your kitchen, adding a kitchen island is one of the best features you can add. 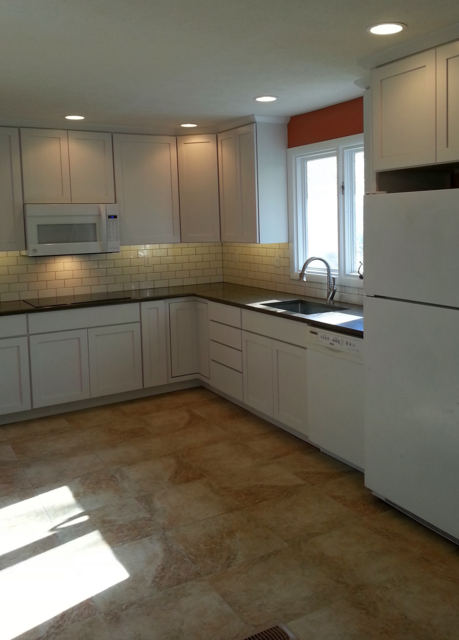 Talk to InsideOut Renovations & Home Repair today and ask their kitchen design team about your options. They’ll be happy to work with you to create the kitchen you've always envisioned. Call (402) 474-0028 or visit them online today.